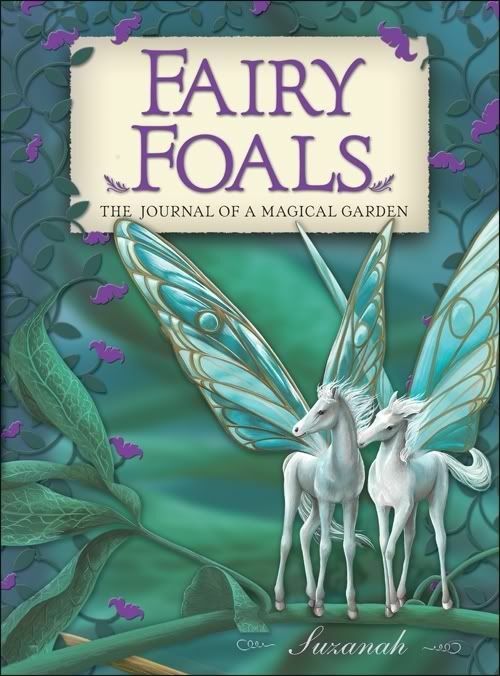 Fairy Foals is the enchanting story of a woman who sets out to explore a magical garden, inherited from her grandmother. Along the way she encounters a plethora of exquisite creatures. But it’s the mystical creature she finds trapped in a spider-web that takes her breath away—the fairy foal. A fairy foal is a tiny horse with the wings of a beautiful butterfly or moth. The woman is amazed by the fairy foal’s beauty, and she captures it in a series of breathtaking illustrations that fill the pages of this wonderful book. It's a light easy read and The Girl, who is 8 years old, really loved it. Horses and fairies together, what's not to love? As a mom, it's nice to see her reading rather than watching tv, and know that it's a clean wholesome book. LOVE that! What a wonderful read..Reading is the one gift that keeps on giving..
sounds like a nice time with your daughter. i remember those days--both reading a wonderful book by myself and being carried away to another land in my mind and reading with my girls, doing the same....now i just enjoy the remembering while i wait for my little grandsons to get just a wee bit older. also, looks like you had a fabulous vacation! Ohmygosh, my 8 year old would LOVE this! I'll have to pick it up for her!